TMJ stands for the Temporomandibular Joint. Each individual has two TMJs that are connected by the lower jaw (mandible). The condyle is bony round-like part of the mandible that when the jaw is closed, sits in a fossa or concave housing of the temporal bone. In between the condyle and temporal bone fossa, is an articular disc (also called a meniscus) that is shaped like a doughnut with two thick ends and a thinner portion. With each opening, closing and lateral movement of the jaw, this assembly of bones, discs and supporting ligaments, move down the articular eminence of the temporal bone in both a rotational and sliding manner. Each side of the jaw moves in unison. This is normally an effortless, noiseless and pain free movement that is repeated thousands of times each day. 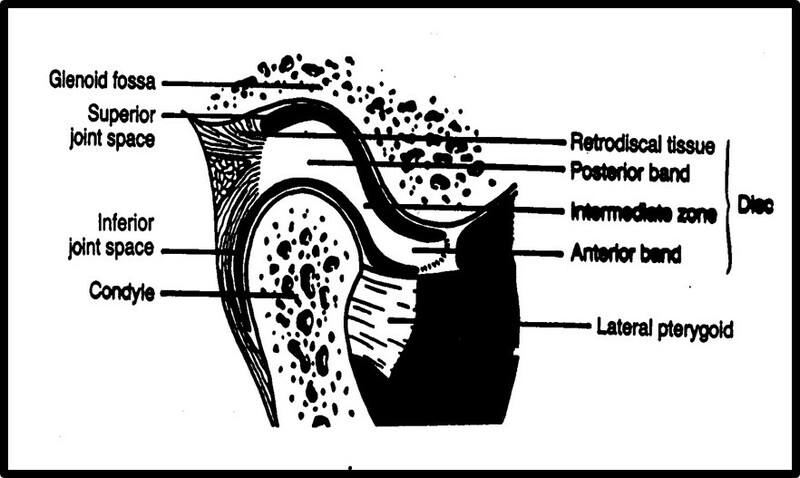 When the TMJ becomes damaged, changes can occur within the disc attachment which results in a displacement of the disc. As the jaw is opened or closed, a popping or clicking sound can be heard. This can be painful or not as the jaw is used. There can be further progression of disc displacement that leads to intermittent locking or “catching” while eating. With additional damage, the disc can be further displaced or undergo a change in shape. The jaw movement can be restricted and the joint is considered “locked”. This can occur abruptly or develop over time. There may be pain initially that can subside over time. The TMJs are unique in the body and are involved in every aspect of daily living, including breathing, swallowing, chewing, speaking, yawning and even kissing! Therefore, a diagnosis is needed before care can begin. TMJ Treatment may include splint therapy (orthotics) which are worn primarily at night to either stabilize the TMJs or help to relieve the muscular pain that is present. The therapy may be short or long term depending on the problem. Other TMJ treatments might include: patient education, rest, home care exercises, moist heat/cold, nutritional counselling, stress management, referral to other providers such as physical therapists, chiropractors, osteopaths, acupuncturists, massage therapists or counselors. At times, low level laser therapy, spray and stretch, trigger point therapy injections and electrical stimulators can help to relieve pain and begin the healing phase. Pain is reduced, function is restored! If you are one of the 12-15 million people who are experiencing pain and dysfunction of jaw, head and neck, please call our office to learn more about how we may be able to help. Please call us at 413-528-4680.